The following is an excerpt from the introduction of Vice Adm. Eugene Parks Wilkinson’s oral history for the U.S. Naval Institute. Parks died on July 11 in Del Mar, Calif. at the age of 94. Eugene Parks Wilkinson was born in Long Beach, California, on 10 August 1918, the son of Dennis William and Daisy Parks Wilkinson. He attended Holtville, California, High School and San Diego State College. He graduated from the latter in 1938 with a Bachelor of Arts degree with a major in chemistry. He taught chemistry there for a year. He also filled in and taught a course in mathematics. During this year he attended the University of Southern California. The next year he had a teaching fellowship in chemistry at USC. During those two years he completed all of the course work for a doctor’s degree but never did a thesis or received any graduate degree. Commissioned ensign in the U.S. Naval Reserve on 12 December 1940, he was transferred to the regular U.S. Navy on 28 August 1946. Wilkinson’s commissioned service began in the heavy cruiser Louisville (CA-28), in which he had duty in the engineering department until December 1941. He was detached in San Francisco, with orders to the Submarine School, New London, Connecticut, for instruction in submarines. After completing the course in March 1942, he served in the engineering department of the submarine R-JO in April and May, after which he was ordered to the submarine Blackfish (SS-221). After the commissioning of that boat in July, he served on board for one year, making four war patrols. He had commissary, engineering; and electrical duties. During his time in the crew the submarine participated in the North African operation (Algeria-Morocco landings). From June 1943 to October 1944 Wilkinson was in the crew of the submarine Darter (SS-227), which participated in four war patrols, including the Truk attack and the Battle of Leyte Gulf. Officially detached from the Darter in November 1944, following her loss the previous month, he returned to the United States. From January to March 1945 he was an instructor at the Submarine School, New London, Connecticut. He next served as executive officer and navigator of the submarine Menhaden (SS-377) from March to October 1945 and had similar duty on board the submarine Raton (SS-270). Upon his transfer from the Naval Reserve to the U.S. Navy, he was ordered to the General Line School, Newport, Rhode Island, where he completed the assigned course in May 1947. From June 1947 until April 1948, Wilkinson was executive officer and navigator of the USS Cusk (SSG-348). From April 1948 to April 1950, he completed assignments at the Oak Ridge National Laboratory in Oak Ridge, Tennessee; the Argonne National Laboratory in Chicago as an associate engineer, and at the U.S. Atomic Energy Commission in the Pittsburgh, Pennsylvania, area, as chief of the operations branch and Bureau of Ships representative. In May 1950 he assumed command of the submarine Volador (SS-490), in which he participated in action in the Korean area from 12 August to 2 November 1951. From January to May 1952 he fitted out the submarine Wahoo (SS-565) and on her commissioning on 10 May of that year became her first commanding officer. In February 1952 Wilkinson had temporary duty for one month as commanding officer of the submarine Sea Robin (SS-407). He was detached from the Wahoo in June 1953. He then carried out a series of temporary assignments by way of preparation for becoming prospective commanding officer of the USS Nautilus (SSN-571), the world’s first nuclear-powered submarine. He took command of the ship upon her commissioning on 30 September 1954 and held that billet until relieved in June 1957. After spending the following academic year as a student at the Naval War College, Newport, Rhode Island, Wilkinson served as Commander Submarine Division 102 for a year and had brief temporary duty as commanding officer of the Nautilus. In September 1961 he became the initial commanding officer of the guided missile cruiser Long Beach (CGN-9), the U.S. Navy’s first nuclear-powered surface ship. After completion of that command, he reported on 1 November 1963 as Director of the Submarine Warfare Division (OP-31), in the Office of the Chief of Naval Operations, Navy Department, Washington, D.C. While in that billet he was promoted to the rank of rear admiral. On 23 November 1966, he assumed duties as Chief of Staff for the U.S. Forces in Japan. After earning the Distinguished Service Medal for his service in Japan, Admiral Wilkinson assumed command of Submarine Flotilla Two on 6 June 1969. He was promoted to vice admiral upon becoming Commander of the Atlantic Fleet Submarine Force on 12 February 1970. He had additional duty as Submarine Operations Advisor for Polaris Operations, Atlantic Command and Supreme Allied Command Atlantic, Commander Submarines Allied Command, and Commander Submarine Force Western Atlantic. His final billet on active duty, from 1972 to 1974, was as Deputy Chief of Naval Operations (Submarine Warfare), OP-02, on the staff of the Chief of Naval Operations. 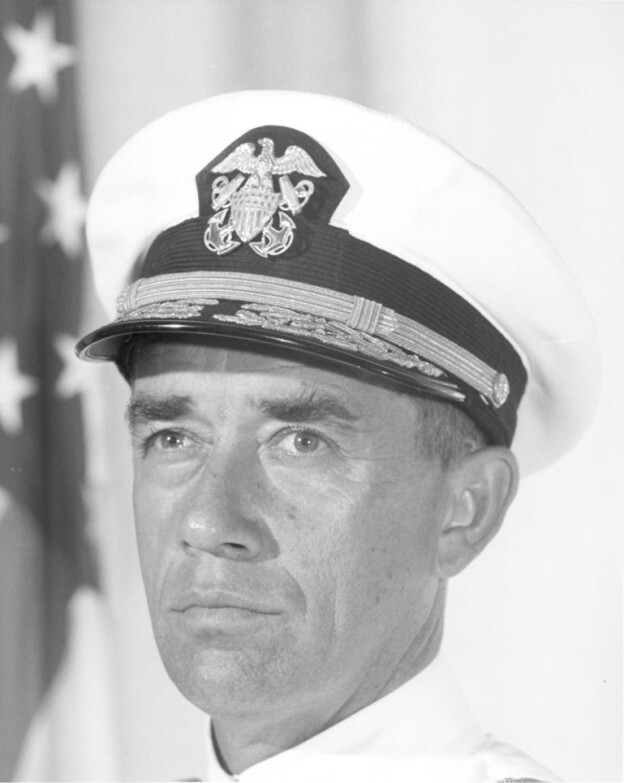 Following his retirement from active duty in 1974, Admiral Wilkinson had a number of jobs in civilian life, including service for Data Design Laboratories and as the first head of the Institute of Nuclear Power Operations (INPO). He has also served on several corporate boards.